Image from Geek&Sundry Article. Pretty cool, actually. Geek & Sundry just published a piece on RPGs that aren’t D&D. The author, Jessica Fisher, paints a brief picture of four game systems that aren’t the 800-lb gorilla of the RPG world: D&D in its various incarnations. Interestingly enough, Ms. Fisher notes that she got her start playing GURPS, which probably places her in a veritable 1% class of gamers that didn’t have their first RPG experience playing the market-powerhouse that is Dungeons and Dragons. Actually, that’s an interesting topic by itself – what was everyone’s gateway into gaming, and what game was it? How old were you? For me, it was easy: Advanced D&D with Howard when I was maybe 10. I either bought or at least looked at Gamma World after that, but it was only when I got into high school that I really branched out. Ken and Mark and Carl were the primary GMs, and we played Twilight:2000, Champions, Robot Warriors, Bushido, Warhammer Fantasy Roleplay, GURPS, MERP, and Ringworld, just to name a few. Do you want to build anything? I mean anything. G.U.R.P.S. is the Generic Universal RolePlaying System created by Steve Jackson Games in 1986. It is a point based system, so instead of rolling to see what your character is like, you get an amount of points with which to buy traits. The basic rule books give you everything you need to build anything from a superhero to a space marine, or a swashbuckler to your basic every day Joe. Considering there are hundreds of supplements, reference guides, and fan created pages, you can really delve deep into creating your characters, worlds, weapons, and more. You can spend hours upon hours carefully spending points in order to create your perfect build, and that’s where the game either succeeds or fails. If you love number crunching, then G.U.R.P.S. is a great system, but if you don’t want to have a calculator on hand at all times while gaming, you might want to check out a more free-flowing system. So, on the one hand, it’s great that GURPS is getting a shout-out, and for that, Ms. Fisher must be given some thanks. That being said, I think that the portrait she paints of GURPS reflects an impression of the system which is outdated and uncharitable, and does not reflect the current state of the game. The Way it Should Have Been? Do you want to build anything? I mean anything. GURPS is the Generic Universal RolePlaying System created by Steve Jackson Games in 1986, and whose Fourth Edition was released in 2004. It is a point-based system, so players allocate points to purchase abilities to craft any character they can afford. The two-volume Basic Set gives you everything you need to build anything from a superhero to a space marine, from a swashbuckler to a gritty noir detective. Considering the wealth of well-researched supplements, reference guides, and fan created pages, you can really delve deeply into creating your characters, worlds, weapons, and more. You can spend hours upon hours carefully spending points in order to create your perfect build, or you can choose from a list of templates, make a few choices, and get playing. Most of the work is front-loaded, however, and once character creation is complete, the game can be as free-flowing or option-packed as the GM and players would like. Here’s a ridiculously precise list of what I changed, and why. GURPS – Looking at the first and fourth edition covers, GURPS never had periods in it. Sure, it was an abbreviation, and what the abbreviation was is right there on the cover (including the non-space between the words RolePlaying, which the author did get right). Small error? Yeah . . . but the SJG name for the game is GURPS, not G.U.R.P.S. It’d be like writing D.&.D. or N.A.S.A – it’s just not how the organizations or products refer to themselves. Mention the Fourth Edition – Ms. Fisher does note – correctly – that “older systems are constantly being updated to streamline, advance, and otherwise improve their games.” True enough! I got my intro to GURPS with Third Edition and Third Edition, Revised in about 1988, when it won an Origin Award (though I didn’t know that at the time), but unless one is going to comb their FLGSs or eBay for copies of older-edition rules, the game you’ll play will be Fourth Edition. And Fourth Edition is only a decade old. Noir Detective, not Regular Joe – This one’s a quibble. But most people don’t game to play regular Joes. That’s boring in most cases. She did a nice job with her first three examples, but the tweak to noir private eye is more evocative. Well, says me. Hundreds of supplements to something more squishy – OK, this one is a bit nuanced, but while Third Edition lists 270 published works, and Fourth Edition tops the scale at 175 as of today, the fact of the matter is that that much material, while cool, is almost never brought to bear on a given situation. In fact, some of the works are hard to reconcile with each other, or aren’t intended to be (consider +Hans-Christian Vortisch wrote both Gun-Fu and Tactical Shooting, which are supposed to be mutually incompatible). The point there is that I think she should either note that the system is well supported (though it would be entirely fair to note that there are only 12 items in Fourth Edition that are available in physical form; the rest are digital-only), to point to hundreds of supplements without noting you don’t need ’em all does a well-supported system a disservice. I do think it’s important to highlight how well-researched the books are, though. They’re almost always written by a subject matter expert, and playtested by more such people. The even quality of the supplements is perhaps the system’s (and the company’s) strongest core strength; I was personally involved in the playtest of a product that was pulled back into draft stage as not being worthy of the SJG name. Hours Upon Hours, but it doesn’t have to be that way – The point she makes about spending hours making a character is a classic Obi-Wan statement. Very true . . . from a certain point of view. 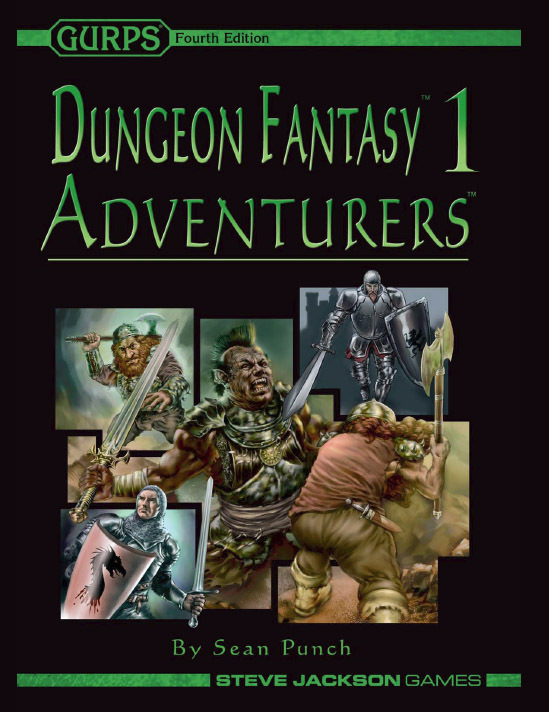 +Sean Punch, the system’s Line Editor, acknowledged that in Third Edition, with it’s use of half-points, it is possible (though unlikely) that in order to make a low-level 100-point adventurer, one could be forced to make 200 different choices. That’s a hell of an a la carte menu. But Fourth Edition – the game people will actually be playing if they come fresh to GURPS – has tamped out a lot of the complexity in character design for the beginner. Most important is the flat-costing of attributes and skills (in the main), and the addition of the Template system, where in several popular genres, authors have done the work for you in choosing the bulk of common traits for archetypes. 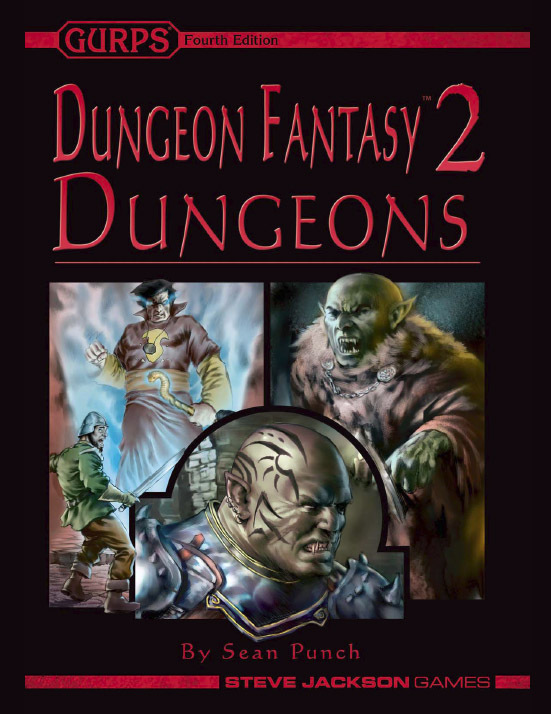 There are several books dedicated to templates and characters for different sub-genres, including the winner-and-still-champion genre of Dungeon Fantasy. Front-Loaded – GURPS has a lot to it. This is the systems strength, and as Ms. Fisher alludes, can also be a weakness if that wealth of optional detail is improperly managed. However, it should be noted that much of the potential complexity (not all of it, but most of it) is front-loaded, meaning the work is done before play starts. You see this in monster write-ups – the details behind a monster’s attack are all well and good, but in play, and on the sheet presented to the GM, you just see “Giant Bite of Corrosive Death (16) – This attack does 2d+2 imp damage if it hits, and immediately starts to dissolve any metal object at that hit location; make a HT-4 roll or a metal object disintegrates.” So you have the skill, the effect, and any special stuff right there. That it was built with a modular metasystem to ensure a consistent point cost is buried in the front-loaded nature of the build, and by-the-way, that’s only needed for characters, not GM-controlled monsters. Those can be whatever the GM wants them to be. In play, you mostly look at your character sheet and roll some dice. I say this as the author of The Deadly Spring, which treated bow-and-arrow construction in loving engineering detail, and included the Nasty Transcendental Equation Table in the body of the article. But once you have your bow . . . you just shoot it. GURPS is mostly like that. It’s All Optional – GURPS has a lot to it . . . if you choose to include it. The most popular genre, spawner of at least 25 books and covered in 23 issues of Pyramid, strips out some of GURPS’ vaunted complexity in order to deliberately streamline play. My own superhero – built on 1,200 or 1,300 points, has most of his skills in five broad-brush categories called Wild Card skills. They are something like Fist!, Shooter!, Ten-Hut!, SEAL!, and Blade!. They’re very expensive, but each cover perhaps a dozen sub-skills and related topics, and make the character sheet very streamlined. Fourth Edition is full of this type of innovation, and the game is only as complex as you let it be. GURPS is a great game, kept alive and vibrant by a very talented pool of editors, authors, and contributors. A look at the GURPSDay compilations from this past month shows a very active fan base (and we’re not even close to done compiling) and the release of roughly 14 products per year for Fourth Edition demonstrate commitment to the product line by SJG, despite being dwarfed in revenue production by Munchkin. If feels to me – and this is assigning motive without knowledge – that the perception of GURPS presented in the article is simply dated. As if the game were played in the 90’s and left behind, for more “free-flowing” systems. That does the game in question a disservice, and one that bears pointing out. The calculator comment is what set me off. You did a good job on the re-take writeup and on this explanation. Good work, Doug. I have to agree with everything you wrote. Hard to believe fourth edition is already a decade old. To me, the system feels as fresh as if it came out recently, and I'm glad to have been spared what D&D players have to go through, of buying a new edition every couple of years, relearn all the rules, etc. Answered your question, should show up in the next GURPSDay. 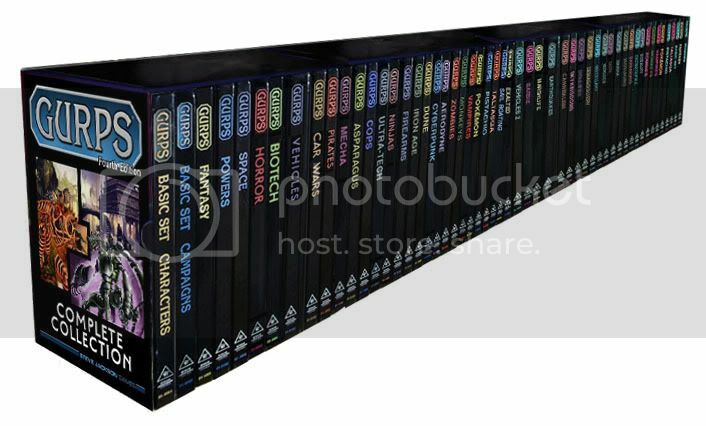 My introduction to roleplaying games was a GURPS Fantasy game (Yrth, if I need to be precise) in late 1994. I was ten. It was what my neighbor–a longtime gamer decades older than I–played. Discounting a one-and-done flirtation with Palladium in high school it would be twelve years before I finally played a different system, D&D 3rd edition, and… it just seemed so restrictive in comparison. Whaddaya mean my mage can't also be a competent swordsman? Whaddaya mean I can't (effectively) call shots without feats? Alignments? Random rolling for stats!?! I'd call this a "baby's first game", but then why do the rules seem so bewilderingly arbitrary and unintuitive? Very well written. And I agree with all of the improvements on the statement. I was an instant convert to GURPS the moment I was introduced. It replaced my own creation which was my effort to overcome all of the limitations of every other rpg I had tried. I want to know what all of the titles on the "Close, but not quite" are. I can read most of them, but as they get farther down the line, I can't see them. First: Welcome to Gaming Ballistic! Second: Thanks for the kind words. Third: The titles are mostly funny; it's an old but fake picture. There's GURPS Asparagus, GURPS Pokemon (prophetic? ), GURPS Sail Boating . . . I do think that GURPS is a less beginner-friendly and intuitive system than D&D. On the other hand, it leads to a lot less frustration from any player who has a character concept they really want to build just so, and once it starts running my experience is that it runs about as smoothly as D&D.